I was driving down Tennyson the other day and saw sidewalk tables and thought I saw a big white sign that read “Paris,” and underneath the sign, “Pizzeria.” I chortled and thought to myself: the French have joined in the *Denver Pizza Wars. Of course, the sign read: Parisi – the last i was obscured. I made a mental note to return. Tonight I did. 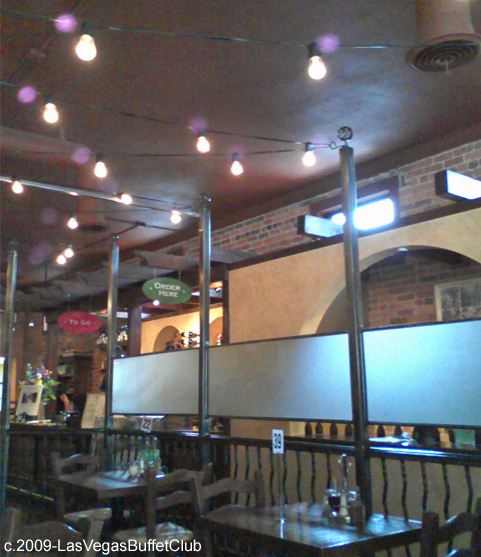 Parisi is a Tuscan-California-Modern-style, “hip and now” Pizzeria/Restaurant/Deli in an older north-west Denver neighborhood. “You can make a silk purse out of a sow’s ear.” Not that the old building is a sow’s ear, it’s just that Parisi did a remarkable job redoing the plain-jane building. The restaurant’s interior is fresh, shiny and new. Visual flavors of a Tuscan village are imparted by the architecture, as well as flavors of a modern Califormia restaurant. Ordering food offers a twist: walk up to a counter, order and pay; one is issued a seat (by number) and sits – someone brings your order to the table. There is a wood-oven and pizza prep “stage” with a few seats – watch the pizza assembly with a glass of wine (wine starts at about five bucks.) 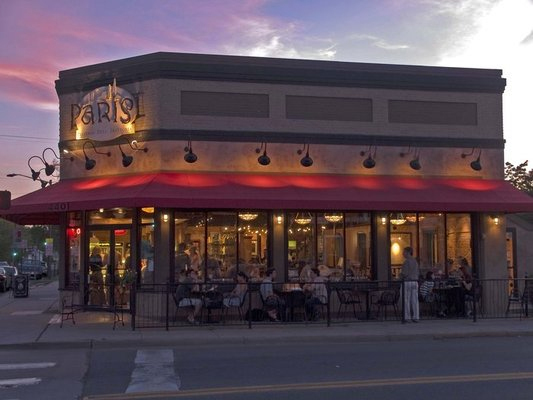 The Parisi on-site Deli has prepared foods, canned goods, cheeses, dry-pastas, and a small on-the-wall dining table with a few stools. On our first visit, we ordered the Lasagne ($9.) First blush revealed an unexpected sight: the plate of Lasagne had an orange tint. Whoa, it looked as though the Lasagna was topped with grated, yellow cheese. Whew! We inquired and found out the orange color was from grated carrots. Although not a large portion, and a bit overcooked the Lasagna was good, still a bit different. The nice mixed-greens / spinach dinner salad was a deal for a few bucks. I want to return to try the gnocchi, spaghetti and pizza. Overall the experience was positive. “firenza a tavola“ is a formal restaurant secretly found down the stairwell adjacent to our ordering line.” Part wine-celler, part high-end basement restaurant, “firenza a tavola“ is very warm and cozy with a 2nd (small) bar. 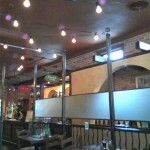 PARISI is a TrueItalianTable recomended authentic Italian restaurant. Thanks for your comment, at the moment we do do not Tweet. There are some new Social Media/Follow buttons on the pages.